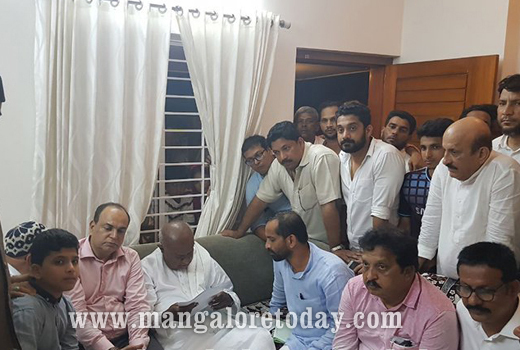 Mangaluru, Jan 22, 2018: National President of JD(S) and former prime minister H D Deve Gowda has on January 21, Sunday visited the residences of Deepak Rao of Katipalla and Abdul Basheer of Akashbhavan who were murdered on January 3. 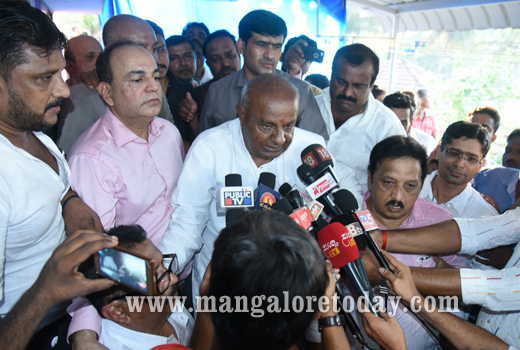 Deve Gowda interacted with the families of both Deepak and Basheer and expressed his condolences. He also promised help to the two families. 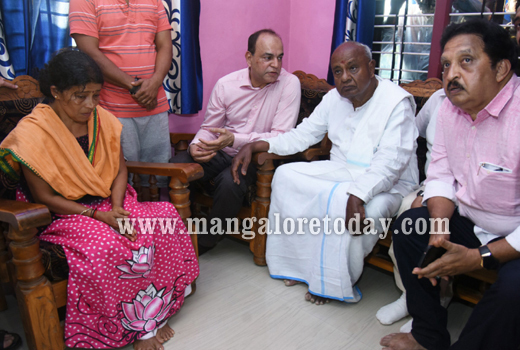 Deve Gowda first visited Katipalla and met Deepak’s mother and consoled her. Later after participating in a programme at Mulki, he proceeded to Mangaluru and met the family of Basheer at their residence at Akashbhavan. He also assured a good job to the son of Basheer and even collected his resume. State JD(S) Vice President B M Farooq and other leaders including MB Sadashiva, Akshit Suvarna and Abdul Kunhi were present.